Political change in Malaysia: Will there be a new normal? Talk of political change in Malaysia has become more intense in the last few months. Malaysia's continued political imbroglio puts the economy at risk. Even with an improved fiscal deficit and an economy averaging growth of 5 per cent, critics are not impressed, preferring to focus on the political reform story. The big question they raise is: Will there be a new normal in Malaysian politics? Since the last general election, the ruling Barisan Nasional (BN) coalition, and the United Malays National Organisation (Umno) in particular, have put political reform high on their list of priorities. Reform, however, has not been substantive. 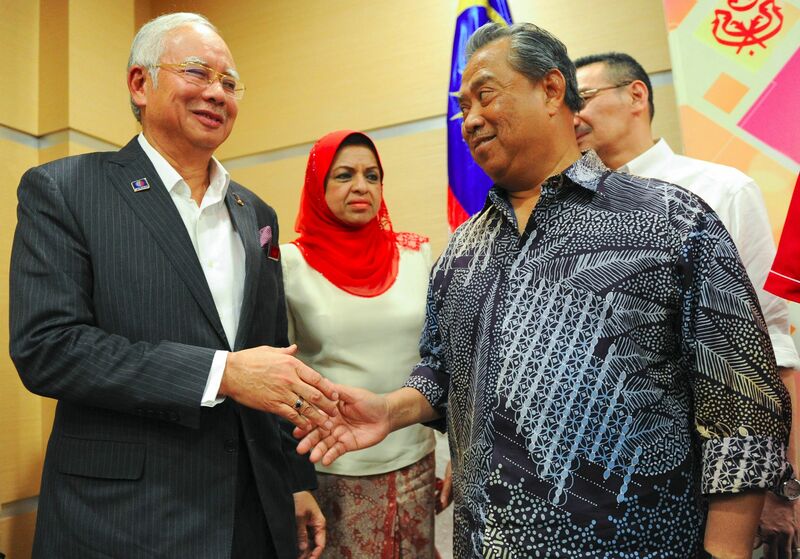 Leadership renewal remains problematic, given the BN's organisational machinery. Indeed, what with the controversy surrounding Prime Minister Najib Razak and the beleaguered state investment fund 1MDB, the approval rating for the BN has, unsurprisingly, hit an all-time low. What is more surprising is that approval of Umno among Malays has plummeted to 31 per cent - the first time this has gone below the 50 per cent mark. Even if Mr Najib leaves the scene, there is little confidence that things will improve. There is a possibility that the BN - Umno specifically - will be mired in a leadership struggle. This is because, for the first time, Umno's deputy president is not the deputy prime minister. If Mr Najib resigns, the previous deputy prime minister, Tan Sri Muhyiddin Yassin, has grounds to claim that, as deputy president of Umno, he is the automatic choice to become prime minister, which will put him on a collision course with the current Deputy Prime Minister, Datuk Seri Ahmad Zahid Hamidi. The BN's survival rests on a strong Umno and if Umno is on shaky ground due to infighting, the next election would prove an uphill battle for the coalition. With Umno in disarray, the Malaysian Chinese Association unable to win back Chinese support and the Malaysian Indian Congress still sorting out its leadership problem, the BN would be in real danger of suffering a lasting fracture. Middle Malaysia is also finding little solace in the country's opposition parties. Despite investing energy to forge a common agenda, ideological differences between the Democratic Action Party (DAP) and Parti Islam SeMalaysia (PAS) made the Pakatan Rakyat (PR) alliance untenable. The PAS' heavy losses in the 2013 general election naturally forced party stalwarts - particularly the clerics - to revisit its raison d'etre and resurrect the idea of an Islamic state. The decision to leave the PR coalition fragmented the PAS, with the non-cleric elements deciding to break away to form Parti Amanah Negara (PAN). With the demise of its spiritual leader Nik Aziz Nik Mat and the split, it remains to be seen whether the PAS can maintain the support it used to enjoy. Parti Keadilan Rakyat (PKR) is another weak link in the opposition camp. The party's ability to garner broad support has been severely compromised due to a series of missteps. These include the "Kajang" move - a failed bid to topple the 14th Menteri Besar of Selangor, Tan Sri Khalid Ibrahim, and install the party's founder, former deputy prime minister Anwar Ibrahim - the eventual ousting of Mr Khalid as Selangor Chief Minister and the widely acknowledged tiff between current Selangor Menteri Besar Azmin Ali and Anwar's wife, PKR president Wan Azizah. With Anwar in prison, the party is struggling to find a coherent organising principle to remain relevant. The PKR is still undecided in the question of which party it should forge a strategic alliance with - the DAP or PAS or even both - as mentioned recently by Mr Azmin, its vice-president. To the PKR, partnership is more a matter of political convenience than one of ideological conviction. The recently formed Pakatan Harapan, comprising the DAP, PKR and PAN, also provides little inspiration. The PAN is still in its infancy and has gained little traction among Malays, which is most apparent after it failed to mobilise Malay support in the recent pro-reform Bersih 4.0 rally. The burden is now on Pakatan Harapan to convince Malaysians that the alliance will not go the way of the PR or other alliances forged in the past. Civil society has been given ample room to breathe and promised to be the voice of reason that could spur some new political imaginings. Among Malaysia's many NGOs, the Coalition of Free and Fair Elections - Bersih - is by far the most successful when it comes to mobilising multi-ethnic mass support. It has organised four street demonstrations and successfully drew a multi-ethnic crowd. Its international chapters show that Bersih is not like any other NGOs when it comes to organisation and reach. Indeed, Bersih has huge potential to effect lasting political reform that cuts across ethnic concerns. Unfortunately, the Bersih 4.0 rally shows that partisan interests are slowly taking hold of the movement, compromising its ability to champion change based on issues and not ethnicity. One social activist even said that "without the support of Pakatan Rakyat, Bersih's success at multi-ethnic mobilisation would have been questionable". Such was Bersih's dependence on political parties, that Bersih 4.0 suffered poor Malay turnout after the PAS withdrew from Pakatan Rakyat. With the DAP being the next largest party in terms of support, the Bersih 4.0 rally naturally saw overwhelming Chinese support - which did Bersih no favours in detaching itself from ethnic concerns. By aligning its interests with partisan politics, Bersih may just have lost the golden opportunity to be that force that could effect political change for all Malaysians. A major worry is that there has not been enough discussion about what is to follow the Najib administration. With no alternative plan, the country could experience a prolonged political and economic bind should the present government resign. Even if elections are called, there is a high chance that they would polarise the country even more. Though concerns such as corruption would surface, parties are most likely to resort to ethnic and religious issues for votes. If the last election saw Umno and the DAP being the biggest winners in terms of seats won, the next election will see the DAP consolidating its position, with the Malay seats being split between Umno and the PAS. The new PAN and PKR could clinch a few seats in predominantly urban areas but the Pakatan Harapan coalition will be led de facto by the DAP. With the opposition being led by the DAP and with Umno and the PAS on the other side of the political spectrum, Malaysian politics could see rising ethnic and even religious tensions. It is far-fetched to suggest that Malaysia will go the way of Syria, Egypt, Iraq or Libya. Commendable international ratings - Malaysia is placed among the top 20 most competitive economies, and is a top 10 investment destination - show that the country's institutions remain resilient and sound. However, years of political bickering have compromised its ability to make plans badly needed to enhance its capacity and improve its competitive edge. •The writer is a visiting fellow at the Institute of Southeast Asian Studies. He is also deputy dean at the Tun Abdul Razak School of Government, Universiti Tun Abdul Razak.